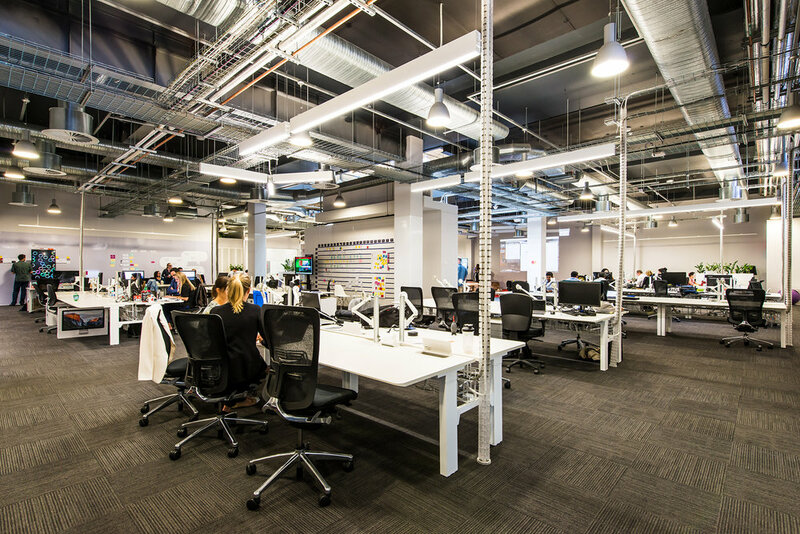 Futurespace worked with Qantas Loyalty to refurbish their existing typical work areas into a dynamic Innovation Hub. 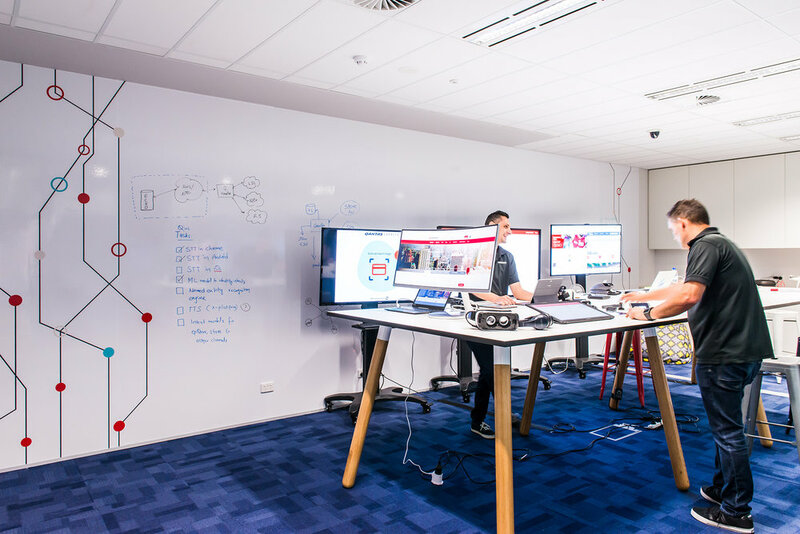 The primary objective for this project was to encourage co-creation amongst the team, to ‘unlock’ the existing environment with the intervention of an agile toolkit and to realise the potential of the Qantas Loyalty business and its people. Located in QCD Ground across 1400m2 the new space supports the team to collaborate on new ventures, to transform the existing business and promote experimentation and the incubation of new ideas. The workplace incorporates collaborative, team based work areas as well as spaces for individual focussed work. The Innovation Space aligns with Qantas’ culture by incorporating unique design elements that relate to the aviation industry and specifically to Qantas. Graphics, finishes, joinery and other built elements reflect the unique culture of Qantas, the excitement of aviation and provide a global perspective on the Qantas brand. Budget pressures were addressed by retaining and/or repurposing elements of the existing environment, re-using furniture and other elements wherever possible, adding character and privacy through carefully placed lighting, graphics and agile walls. As Qantas Loyalty is in what was previously a warehouse space with high ceilings, new walls were not full height. This minimised fitout costs, impact on the base building and on existing services such as sprinklers, lighting and air conditioning. The team are now able to participate in co-creation workshops, stand up ‘scrum’ meetings, ideation sessions, showcases, co-design workshops, customer testing, meetings and industry events and experimentation in a more dynamic environment supporting innovation and creativity of the brand.